Prosecutors who won a conviction against Bill Cosby have refused a request from the owners of YC News for emails between Montgomery County District Attorney Kevin Steele, who led the criminal prosecution against Cosby, and Delores Troiani, an attorney who represented Andrea Constand in her civil proceedings against Cosby. YC News is a Philadelphia-area news organization that covered both of the convicted comedian’s trials. In an alert posted on its Facebook Page, YC News claimed the emails were so incriminating that they “could void Cosby’s sentence.” YC News’ parent company, Original Media Group Corporation, plans to file a federal lawsuit to obtain the emails. 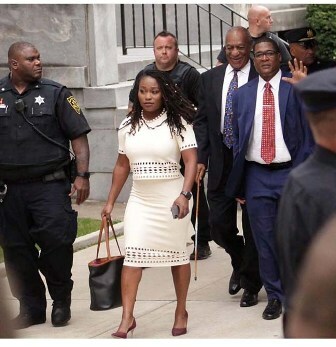 YC News has said that it seeks the emails in order to gain additional insight into any prior relationship and/or information exchanged between Steele and Troiani that may have impacted the course of Cosby’s trial proceedings. YC News pointed to a May 2016 federal hearing in which Troiani admitted under oath that she had worked with Steele when he was the acting Deputy District Attorney of Montgomery County, supplying his office with documents stored in her basement. Troiani told Judge Eduardo C. Robreno that Steele visited her in July of 2015, asking for a copy of the Cosby file that had been used in the 2005 criminal investigation and civil suit. Troiani stated that she had approximately ten boxes in her basement and that she handed them over to Steele. A few months later, and just ten days before the 2015 election that would determine Montgomery County, PA’s next District Attorney, a federal suit was filed against Steele’s opponent Bruce Castor. Castor was the District Attorney that declined to criminally charge Cosby in 2005. A primary focus (some would say “the” primary focus) of Steele’s campaign messaging was Castor’s “poorly run” investigation of Cosby. The message was fueled by an ad campaign at least partially financed via a timely $45,000 donation from Steele’s brother. YC News reported that the host of unreleased emails could shed light on any unsavory dealings between Troiani and Steele, including information that would suggest that Constand admitted to lying about the Cosby assault. The emails were said to be a central part of dueling lawsuits between Castor and Constand, both of whom sued each other alleging defamation. YC News’ filing suggests that it was for that reason, the first jury in the 2017 Cosby trial failed to reach a verdict after 10 days of deliberation. Quoting Troiani’s testimony that she provided material from other accusers to Steele for what would become two criminal trials of Cosby, YC News questioned why the Montgomery County District Attorney’s Office lost portions of their own Cosby files. The lost files caused them to rely on the records of Troiani, who was actively representing the accuser, Constand, in a separate civil suit against Castor, and the 2005 civil suit against Cosby. Neither Steele’s office nor Cosby spokesman Andrew Wyatt returned messages left for comment. Attempts to reach Troiani were unsuccessful.